The NAAC Peer Team comprising of Chairperson Prof Om Prakash Rai, Pro-Vice Chancellor, Central University of South Bihar, Gaya, Member Co-ordinator Dr. Kotresh M, Prof. Dept. 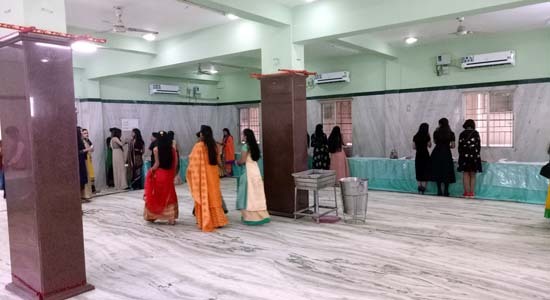 of History and Archaeology, Tumkur University and Member Dr. Puspa Ranade, Principal, Shri Siddhivinayak Mahila Mahavidyalaya, Pune, Maharashtra, visited S. D.Jain Girls’ College on 22nd and 23rd March, 2019. On 22nd March, the team interacted with IQAC Coordinator, S.D.Jain Girls’ College, Dr. Sant Kr. Gupta, Principal Shri. 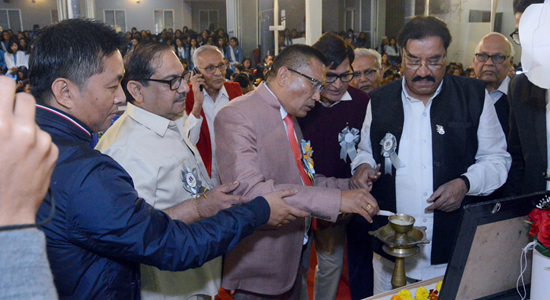 K. C. Rout and Vice Principal Mr. N.R.Deka, followed by a series of interactions with HoD’s, general meeting with the faculty members, Students Body, Students, Alumni, Parents and Managing Committee of the College. After luncheon, the team inspected the infrastructural facilities. The day’s programme culminated in a cultural programme presented by the students. Day-2, the 23rd March, commenced with an interaction with IQAC Members and different committees. The Best Practices adopted by the college were reviewed and necessary suggestions were imparted. 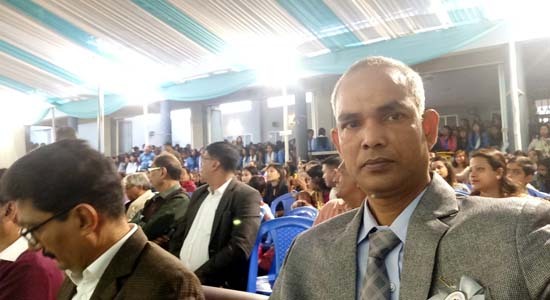 Dr. Alemienla, Prof. SASARD, visited to the College as the Nagaland University representative. 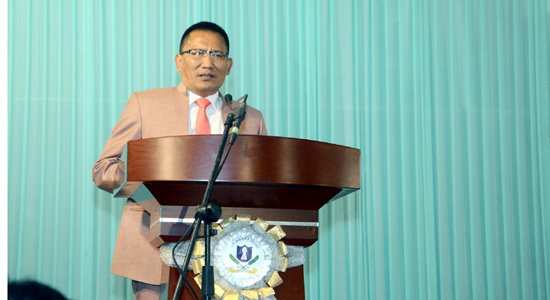 The Exit Meeting was held in the evening with a welcome speech by the Principal. 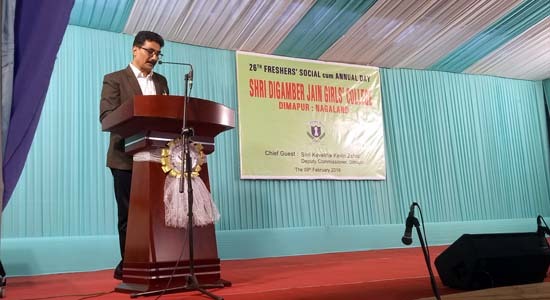 The Chairperson of the NAAC Peer Team addressed the faculty and the students, appreciated the effort of the entire Staff and Management and suggested valuable measures to be adopted by the institution for further qualitative improvement. At the end, the Coordinator of IQAC pronounced the Vote of Thanks. The NAAC Peer Team Visit to the college has been scheduled on 22 and 23 March 2019. Students, parents, alumni, and mebers of the teaching and non-teaching staff are informed to prepare accordingly to interact with the Team if asked for to do so. Form fill-up for BA and BCom Semester-end Regular Exams April-2019 will be held from 13th to 15th March. Last date with fine is 16th March. Anybody who failed to fill-up and submit the exam-form in time will be considered to have dropped out and her name will be struck off the list. IGNOU SC-2033 academic counselling will resume from 16th Feb 2019. Click here to view full page of the schedule. 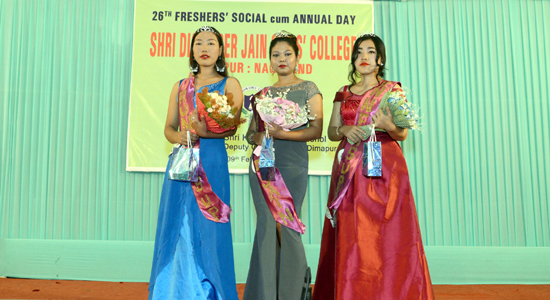 We congratulate Miss SDJain (Freshers 2018-19) Valarie Cooke, 1st Runners-up Soyimkumla and 2nd Runners-up Ekali Chophy. College will remain closed on Monday in honour of the occasion. Classes will resume from Tuesday 12 Feb 2019. 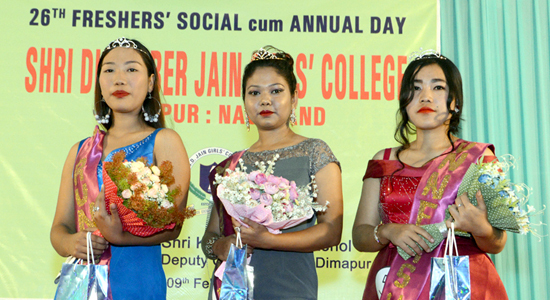 The college Annual Day for the session 2018-19 will be celebrated on 09 Feb Saturday. Exam Form filling up from 10 March till 12 March. Exams will start from 02 April as notified by NU.